Vacuum brazing is a precision brazing technique used to join critical assemblies, many of which employ delicate or intricate features. 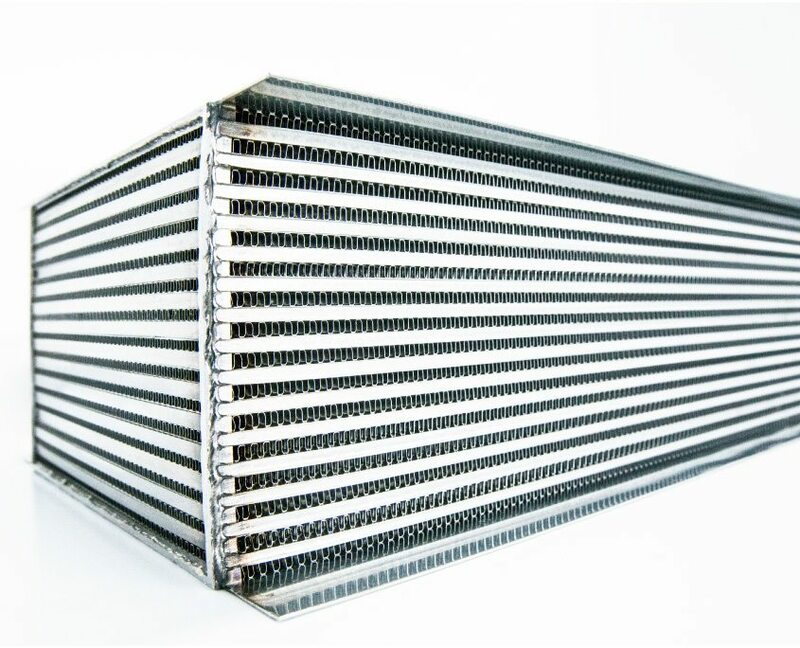 Extensive experience in materials joining enables VPE to customize our vacuum brazing services and ensure the best process conditions for your assembly application. 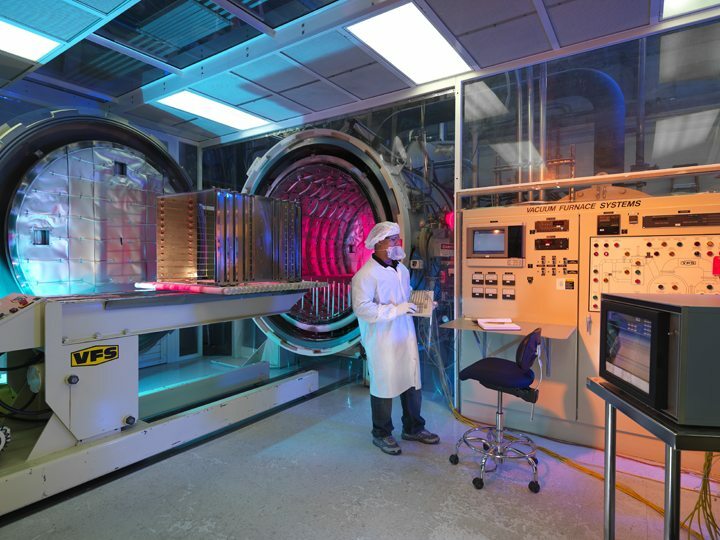 We perform vacuum brazing services for a diverse array of applications, including sensors, detectors, cathodes, cold plates, heat exchangers, and biomedical assemblies. Materials joined include titanium, copper, stainless steel, ceramics, aluminum, steel, tungsten carbide, and tungsten. Product size to 120 in. x 120 in. x 60 in. VPE’s vacuum brazing process has been perfected over nearly four decades for high-strength, reliable, repeatable results. Vacuum brazing employs vacuum as an ambient atmosphere so components undergoing the brazing process will not react with excessive oxygen, moisture, nitrogen, or other gaseous contaminants. By limiting the reactions with the surrounding atmosphere, we can create a clean environment that is conducive to filler alloy wetting and flow onto metal surfaces and into capillary joints. The vacuum environment can also reduce surface contamination from oxides and other compounds through sublimation of the species due to chemical reduction. Maintenance of a clean vacuum is essential to production of contaminant-free brazes. VPE’s vacuum brazing services often utilize cryogenic or turbo molecular pumping to assure the brazing environment is free of excessive hydrocarbons from the vacuum pumping system. In vacuum brazing, the filler alloy is pre-placed on the assembly in such a location that as the furnace temperature is raised and the filler metal alloy melts, it flows into the assembly capillary joints and affects a good bond. Typical vacuum levels achieved during brazing are 1E-5 to 1E-6 Torr, and much higher vacuums are used in several other reactive metal applications. In some applications, a partial pressure of an inert gas is used to mitigate the volatilization of filler metals or parent materials. These partial pressures range from about 1 to 10 Torr.